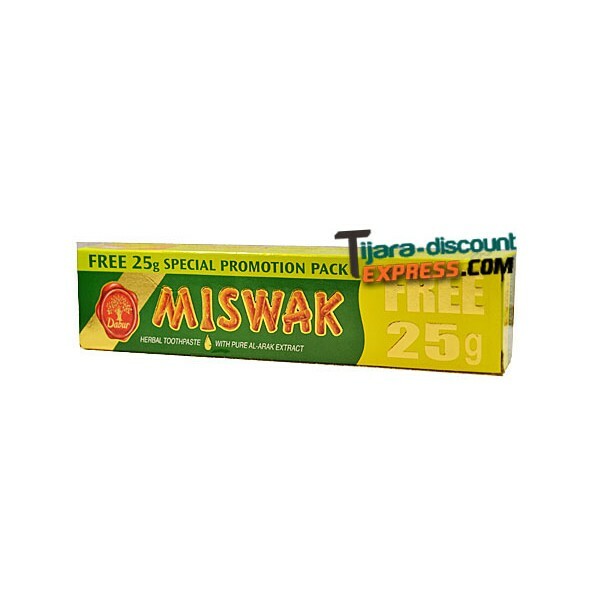 FREE 25g SPECIAL PROMOTION PACK ! Dabur MISWAK Herbal Toothpaste is scientifically formulated with pure extract of Al-arak the famous toothbrush tree used for centuries! 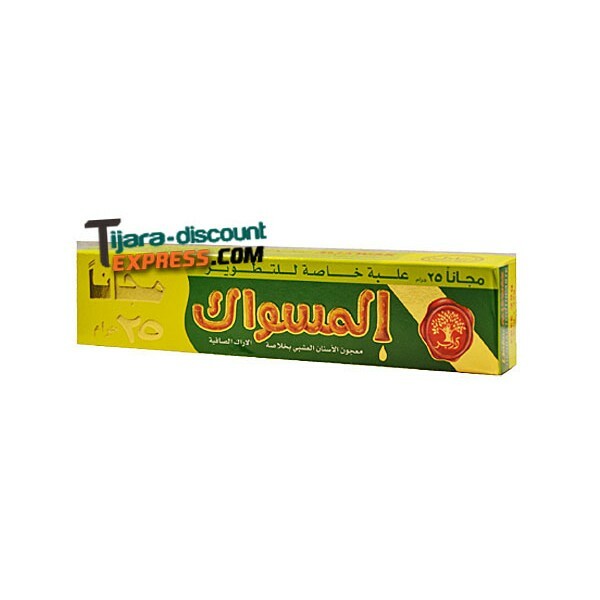 The astringent and anti-bacterial properties of Al-arak help reduce tooth decay, fight plaque, ensure healthy gums, strong teeth from roots and fresh breath. STORAGE INSTRUCTIONS: Store in a cool, dry place away from strong odours and direct sunlight !